Wee George Wood awaiting the next steaming day in the loco shed at Tullah on 8 May 2003. The North Mount Farrell Tramway (commonly known as the Tullah Tramway) connected the mining town of Tullah with the Emu Bay Railway by an 8.5 mile route built to 2' gauge. In 1924 a 0-4-0WT locomotive was supplied by John Fowler & Co (B/N 16203 of 1924) which carried the name "Wee Georgie Wood". Over time the train itself came to be affectionately known by this name. "Wee Georgie Wood" was later joined by sister "Wee Mary" (Fowler B/N 17732 of 1928). Other locomotives to work on the Tullah Tramway were Orenstein & Koppel 718, Krauss 2640 and Krauss 5988. Wee Georgie Wood and Wee Mary were combined to form a single operable locomotive during an overhaul after World War Two. Whilst the remaining locomotive carries the name Wee Georgie Wood, apparently it may in fact use the frames of Wee Mary and therefore would normally be known by the latter name. In 1964 the Murchison Highway was constructed, linking many of Tasmania's isolated West Coast mining communities and largely rendering the Tullah Tramway redundant. Fortunately Wee Georgie Wood and a portion of the Tullah Tramway were retained by a local community group for tourist operation, while the derelict frames and wheels of Wee Mary survive at the Lune River sidings of the Ida Bay Railway in Tasmania's south. 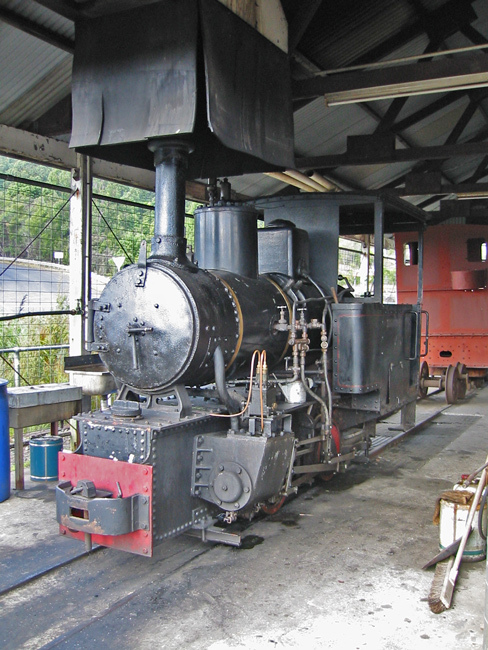 Operating dates for the Tullah Tramway can be found on the Wee Georgie Wood Steam Railway website, together with a brief history of the line and its locomotives.